/ Danica Patrick #13 2018 INDY 500 Round Decal - 3"
Celebrate Danica's final race at the Indy 500 with this officially licensed Danica Patrick #13 2018 INDY 500 Round 3" Decal. 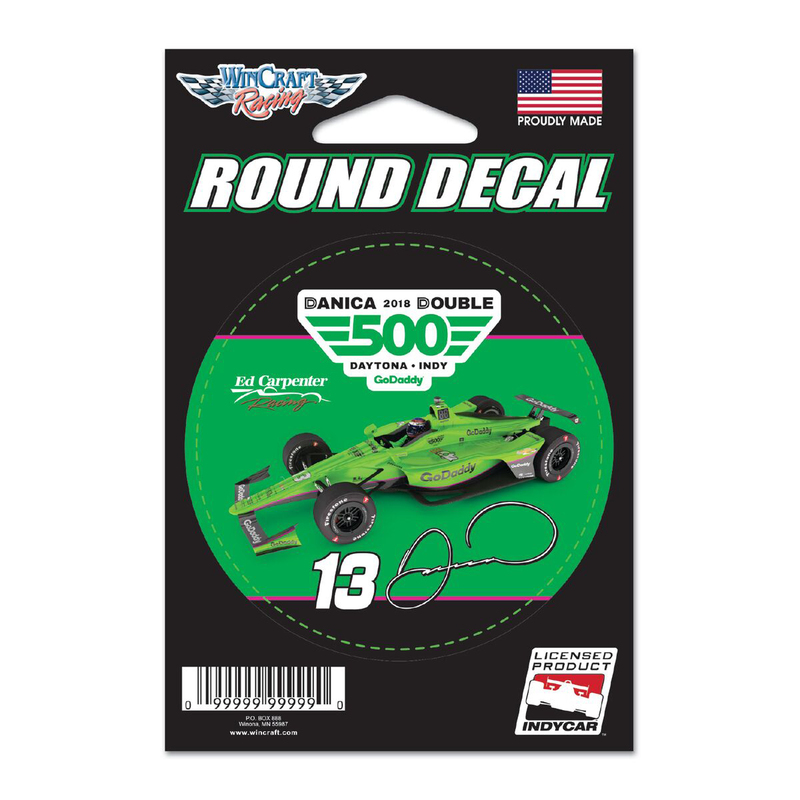 Multi Use Decals stick to multiple surfaces and are removable and reusable. These ultra decals are cut to logo and can be used indoors or outdoors and will not leave a residue when removed.